It’s almost time to send the kids back to school, and that means it’s time to start thinking about what to pack for lunch! Although I don’t have kids yet, I pack lunch daily for me and my husband, and I am always trying to come up with new, creative ideas to keep lunch interesting and provide us with the healthy nutrients our bodies need to finish out the day strong. When it comes to building a balanced lunch, remember to include at least four of the five food groups: lean protein, whole grains, vegetables, fruits, and the health benefits of dairy. The Dietary Guidelines for Americans (DGA) note that three-fourths of the population do not meet the recommended intake for vegetables, fruits, and dairy, so I always try to be sure and include these three groups. The DGA also recommend that children ages nine and older consume three servings of calcium-rich dairy foods every day to maintain bone health. Convenient packable dairy options include single-serving low-fat milk boxes, yogurt cups, and string cheese. PB&J Wafflewich with string cheese and baby carrots: Toast two frozen whole grain waffles, and make a sandwich with nut butter and sliced fresh strawberries. Be sure to pack with a serving of string cheese and baby carrots to round out the meal. Make-Ahead Pasta Salad: Mix up cooked whole grain farfalle or rotini pasta, cannellini beans, halved cherry tomatoes, chunks of mozzarella cheese and balsamic vinaigrette. Add sliced fresh basil if you’re feeling fancy, and pack with fresh fruit. 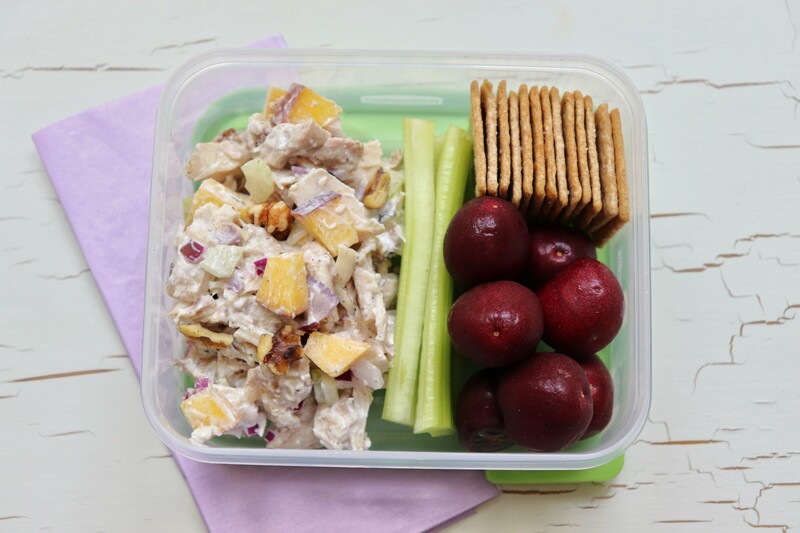 Healthier Chicken Salad: Toss chopped cooked chicken with plain Greek yogurt instead of mayonnaise, chopped celery and red onion, halved grapes, chopped nuts, and salt and pepper to taste. Serve up with whole grain crackers, celery sticks, and fresh fruit. Did you know that when you replace mayonnaise with plain Greek yogurt, you cut the saturated fat and calories while boosting healthy nutrients, like protein, calcium, and Vitamin D? As you send your kids back to school, be sure to set them up for a lifetime of healthy habits with a nutrient-rich lunch featuring vegetables, fruits, and dairy foods. Check out these kid-friendly recipes for more back to school lunch ideas. 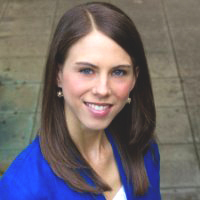 Jessica Ivey is a Registered Dietitian and chef with a passion for teaching people to eat healthy for a happy and delicious life. She loves spending time in the kitchen creating original recipes to help busy families eat well and enjoy more meals together. Her practical approach has helped her teach consumers to eat healthy and deliciously in the real world. Jessica lives in Birmingham, Alabama, with her food-loving husband, Nathan and her dog, Joey.